Montenegro, the smallest of the countries to have emerged after the break-up of the former Yugoslavia, offers numerous investment opportunities. In particular, opportunities exist in the tourism, agriculture, energy, banking and metallurgy sectors. Despite the process of accession to the EU having started relatively recently, Montenegro has already adopted the euro and this has helped deliver investment stability and confidence. One of the main advantages of doing business in Montenegro is that it takes only four days to establish a limited-liability company and the minimum capital requirement is just one euro. PMR Consulting offers a wide array of advisory services in Montenegro. We have experience in conducting market studies which consist of estimated market size and value, identification of major players and their market shares, market trends and forecasts of market development. 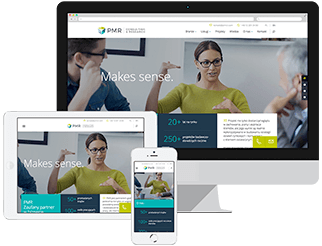 In addition, PMR helps clients wishing to accelerate the growth process through the acquisition of other companies. We can provide assistance on either the ‘buy’ or ‘sell’ side of the transaction. We help buyers realise their growth plans by assisting with acquisitions (buy-side) or helping those companies looking for backing to find suitable strategic or financial investors (sell-side). Importantly, though, we never work on both sides of the same transaction. PMR clients planning to invest in the Balkan region often require information and insight for multiple markets at the same time. In these cases, PMR draws upon its experience of implementing international consulting projects and conducting studies in multiple markets to provide a comprehensive end-to-end advisory service.